CrashCourse: How does this happen? 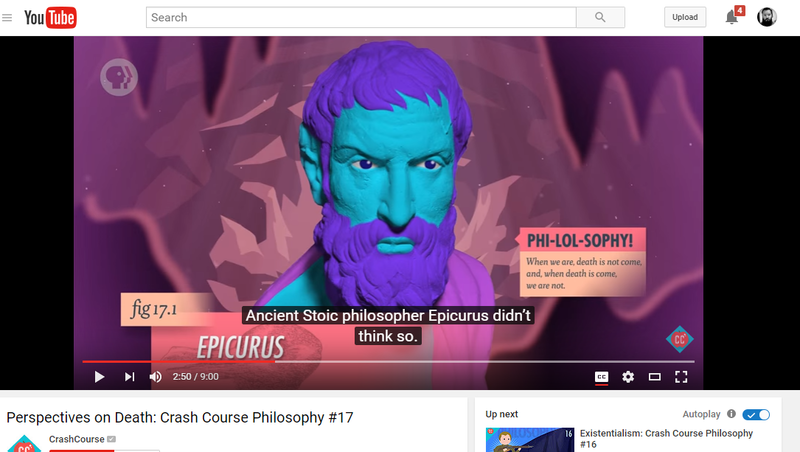 If you’ve watched any of the Crash Course (Philosophy) videos, they’re generally pretty good. Except when they’re clearly not. Either you have people basically ignorant of the subject matter writing for it, or people ignorant of the subject matter editing it, or both. How else does this happen? Epicurus was not a Stoic, he was the founder of the Garden… of Epicureanism. You can tell, you know, because of the spelling. The physics and theology of the Stoics and Epicureans were diametrically opposed. The disjunction from Marcus Aurelius, “Providence or atoms,” distills it. They are philosophical rivals: virtue or pleasure, Providence or atoms, Heraclitus’ monistic physics versus Democritus’s atoms. At nearly every point (except for relatively austere living) the Stoics and Epicureans are at opposite ends of the spectrum. If I put out a video that said, “Ancient Confucian philosopher Siddhārtha Gautama…” I’d probably catch some flak for it, wouldn’t you think? Come on guys, basic investigation, basic fact-checking, and basic editing.